Every year, The Oscars honor the motion picture industry, giving out prestigious golden statues to the people behind the most celebrated movies of the year. The selection of categories is broad enough to ensure that all genres, from introspective dramas to grandiose summer blockbusters, can win awards in various fields. Transformers may never net a Best Actor prize for its stars, but it's always a frontrunner for Best Visual Effects, Sound Editing, and other technical awards. When it comes to the Academy Award for Best Picture, only one film per year can be crowned the winner (technically, there could be a tie, but such an event has never occurred in this category). For this list, we're going to take a look back on the twenty most recent winners of the Best Picture Oscar and see how they stack up against one another. Here are The Last 20 Best Picture Oscar Winners, Ranked. All of the films on this list are classics, fully earning their nominations and victories... Even Crash. Today, Crash's Best Picture win is seen as a fluke, a safe choice. The clear frontrunner in the 2006 Best Picture race was the cowboy-themed romantic drama, Ang Lee's Brokeback Mountain. It's since been speculated that Brokeback Mountain's overtly gay themes and subsequent controversy turned the more prudish Academy voters towards Crash. To its credit, Crash is still an engrossing ride, a deep and daring dive into the disparate sides of racism in America, as told via a series of interconnected melodramas and a broad ensemble cast. It's a film which swallows the viewer whole before violently spitting them out. Sure, it sometimes slips into an annoyingly patronizing tone, and that bit with the blank rounds in the gun is just silly, but it remains a fine film that's still relevant in 2017. Of course, it's no Good Night, and Good Luck, and even director Paul Haggis has said that he didn't consider it to be the best film of the year. In any case, it's by no means a "bad movie;" people who make such accusations are likely just trying to be daring and edgy by taking potshots at an easy target. The Best Picture nominees in 1999 included a wide range of contenders: Saving Private Ryan and The Thin Red Line told two incredibly different World War II stories, while Life is Beautiful followed a father (Roberto Benigni) imprisoned in a Nazi-run concentration camp, struggling to hide the horrors of the Holocaust from his young son. Meanwhile, Elizabeth and Shakespeare in Love traveled further back in time, to the reign of Elizabeth I of England. Perhaps the other nominees split the vote in an even fashion, allowing Shakespeare in Love to sweep not just the Best Picture race, but damn near the entire Oscars. The film was nominated for a staggering thirteen Academy Awards, and took home seven, including Best Actress for Gwyneth Paltrow and Best Supporting Actress for Judi Dench (who, incidentally, was playing the same historical figure, Elizabeth I, for whom Cate Blanchett was nominated for Best Actress). Like Crash, Shakespeare in Love is a great film, a veritable love letter to Elizabethan culture. However, between the bottled-up fears of righteous American heroes in Saving Private Ryan and the selfless sacrifices of Holocaust victims in Life is Beautiful, Shakespeare in Love just seems mild and quaint by comparison, if not still exceptionally well-made and wholly enjoyable. Is SiL better than Saving Private Ryan and Life is Beautiful? That's the thing about trophies and qualitative juxtapositions, including this very list – it's all subjective. In real life, a plastic bag blowing in the wind is litter, and littering is a crime. Garbage is a sign that a neighborhood is filthy and the locals need to do a better job of taking care of their environment. In American Beauty, a plastic bag blowing in the wind is a sign that... Beauty is all around us? That's a fine message, but director Sam Mendes chose a dumb image to express the sentiment. Like Crash, American Beauty is another film with a fantastic ensemble cast (Kevin Spacey, Annette Bening, Chris Cooper, Wes Bentley) whose Best Picture worthiness is hotly contested. In this case, Hollywood offered up such heavy-hitting contenders as The Green Mile and The Insider, both of which lost out to Kevin Spacey trying to hook up with his daughter's high school friends. To its credit, American Beauty is a provocative film; even today, the very mention of the movie can incite arguments and debates over its quality, themes, and imagery. To that end, the movie earns praise for being a messy look at realistic people going through their own crises. The Academy often errs on the side of safety, opting to pick movies which pat their own back (Argo, Birdman, The Artist), and American Beauty is notable for winning the top honor while not playing by those rules. Biopics can be troublesome films, because they can often ignore history in favor of telling their own story. Ron Howard's 2002 Best Picture winner, A Beautiful Mind, earned its fair share of flak for taking a great many liberties with the real-life story of mathematician John Nash, played by Russell Crowe. It also came under fire for casting white actress Jennifer Connolly as Nash's wife, Alicia, when the real Alicia Nash, while fairly light-skinned, was a Latina woman from El Salvador. Regardless of these deviations from history, A Beautiful Mind is a tremendous film, one of those intimate dramas which plays like a grandiose epic. As Nash's mental state deteriorates and the true extent of his schizophrenia is revealed, the viewer is pulled along a surprisingly fast-paced and visually engaging ride, courtesy of Ron Howard's uniquely stylized (and underrated) direction. As for Russell Crowe's breathtaking performance as Nash, many fans speculate that the only reason he didn't win the Best Actor prize was because he had just won for Gladiator the previous year, and it was Denzel Washington's turn to take home the gold for Training Day, after having been passed up numerous times in the past. The Academy Awards exist purely to celebrate the medium of film (or digital video, but that's a conversation for another time), so of course, they have a soft spot for movies about movies. Nowhere was this more evident than in 2012, when The Artist beat out The Descendants, Midnight in Paris, and The Help to be named the Best Picture of the year. 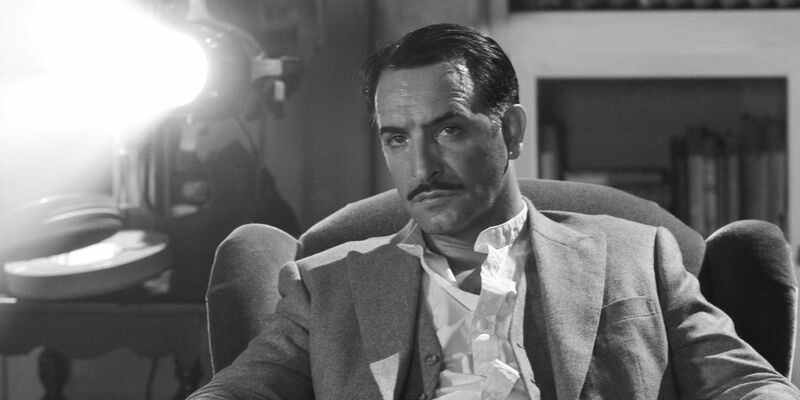 The Artist was filmed in black and white in a classic 4:3 aspect ratio, and without sound. Whether the move was integral to rooting the film in its subject matter and setting (the end of the silent movie era) or if it was a shameless gimmick and cry for attention remains sharply debated to this day. Whatever the case, the film makes strong use of its uniquely retro visual palette; despite its complete lack of color, The Artist is one of the most visually gripping Best Picture winners ever. Plus, it was the breakout role for Uggie the dog, who became a surprise cultural icon for a brief period in the 2011-12 era. "Quit telling your stupid story about the stupid desert and just die already!" Yeah, there was definitely some backlash after the spectacular success of what detractors enjoy calling "the most boring war movie ever made." The English Patient won nine out of the twelve Oscars for which it was nominated, including the prized Best Picture award. Perhaps it is due to the melodramatic plot, or even the legendary Seinfeld episode in which Elaine expresses her passionately unrelenting distaste for the film, but The English Patient now has a reputation for being undeserving of its widespread critical acclaim and numerous Oscar wins. The increasing prestige of Fargo (which was also nominated in 1997) may also be playing a role in the ambivalence of modern audiences towards The English Patient. Regardless, there's no denying the veritable masterclass in acting on display in this film, which was also nominated for three of the four major acting awards: Ralph Fiennes, Kristen Scott Thomas, and Juliette Binoche all received nods for their work on the movie, with Binoche even scoring a surprise victory over the perceived frontrunner, Lauren Bacall in The Mirror Has Two Faces. It's not just Hollywood actors, Broadway stars, and starving artists; everybody's in showbiz. Such is the story of Chicago, 2003's winner of the Academy Award for Best Picture. The film used the glitz and glamour of the musical genre to lay bare the broken state of the criminal justice system and the media sensationalizing the life-or-death stakes of a murder trial. If Hollywood loves two things, its movies celebrating Hollywood and casting white actors in non-white roles. With Argo, they did both; of course it was going to win Best Picture. Nine different films were nominated in 2013, and that year contained one of the strongest lineups ever. Django Unchained and Zero Dark Thirty were too controversial to ever stand a chance in the most precious category, but the rest were strong contenders; Les Misèrables was a musical (see Chicago, above), Life of Pi had a visual language unlike anything else in the field, and Amour is just a massive achievement in acting and writing. Argo's win came as a huge surprise, especially after the controversy about the film making it seem like America was the only country who made an effort to save the hostages in Iran, when, in real life, people from Canada, New Zealand, and England all played (arguably) more pivotal roles in saving the hostages. Then, of course, there's the casting of Ben Affleck as the American-born and English-speaking, but decidedly ethnic, Tony Mendez. Note to Hollywood: throwing a beard on an actor doesn't make them look like they're half-Mexican; it makes them look racist. America's greatest strength is its ethnic diversity, and for Affleck to pretend that Americans have to be white is simply unacceptable in the 21st century. Argo is an excellent thriller, which is why it's #13 on this list, but its flaws are glaring and unforgivable. Just as Chicago was a throwback to Hollywood's Golden Age, 2001's Best Picture winner, Gladiator, brought audiences back to the epic films of the 1950s. The imagery in Gladiator is evocative of that seen in all-time classics like Ben-Hur, King of Kings, and Spartacus, with its swords and sandals sensibilities, massive scale, and grand battle sequences. Ridley Scott was nominated for a Best Director award, but lost out to Traffic's Steven Soderbergh. Meanwhile, Russell Crowe won the Best Actor prize for his role as -- to paraphrase the film's iconic tagline -- the general who became a slave who became a gladiator who defied an empire. There's so much going on in Gladiator. On one level, it's an exceedingly masculine actioner, with strong, sweaty guys beating the snot out of each other. More than that, it's an examination of a once-great society on the brink of disaster, rife with political corruption and increasingly discontent masses. James Cameron knows how to push people's buttons. Titanic was the highest-grossing movie of all time by a wide margin until it was usurped by its own successor, Cameron's long-awaited follow-up film, 2009's Avatar. Cameron's movies succeed because they tell straightforward stories which can be enjoyed by moviegoers of all ages and intellectual interest, and Titanic is perhaps the strongest example of Cameron's scientific understanding of how to captivate an audience. Of course, being a massively popular film, the backlash against Titanic was equally as massive. Detractors throw shade on the film for being manipulative of the audience's emotions, as if that's not the goal of a romantic drama where 1,500 people die at the end. Even among the staunchest of haters, there's no denying that Titanic is a technical accomplishment, a directorial triumph, and one of the most important films of the 1990s. No, it's not as good as L.A. Confidential, but what is? Speaking of grand technical achievements which are accused of lacking in anything remotely resembling substance, 2015's Best Picture Winner was Birdman or (The Unexpected Virtue of Ignorance), directed by Alejandro G. Inarritu. The finished film gives the impression that the entire movie occurs in one, uninterrupted take, which is visually engaging, if maybe just a bit gimmicky. It appears that Birdman was made with the explicit goal of gunning for a Best Picture Oscar, and Hollywood was happy to oblige. The film relies on the viewer having inside knowledge, or at least being somewhat aware of, the inner workings of actors, their egos, their agents, and their managers. Birdman is to Hollywood insiders what This Is Spinal Tap is to rock musicians. This surely helped it during the Oscar race, where it ran against such varied and more worldly titles as Selma, The Theory of Everything, The Imitation Game, and American Sniper. 2010 saw Kathryn Bigelow's The Hurt Locker beat out ex-husband James Cameron's Avatar for Best Picture. (Bigelow was also the first and only woman to date to win for Best Director.) While her film was praised by critics for being an unflinchingly realistic depiction of wartime drama and tension, many real-life veterans disputed this claim, suggesting that the film is based more in fantasy than in real-life military procedure. The thing about movies is that perception is reality, and movies aren't real. Scenes are carefully crafted to appear believable to the audience, and the same is true of a film's script. The Hurt Locker is not based on a true story, and nearly every element of the film's portrayal of the high-stakes world of explosives ordinance disposal is riddled with factual inaccuracies. Watching this movie with an army veteran is like watching Armageddon with a scientist; they will poke holes in literally every single scene. Whether that enhances one's movie-watching experience or ruins it depends on the viewer. Despite this disconnect from the real-life experience of going to war in the Middle East, The Hurt Locker is still a visceral film. It's not real, and it's apparently not realistic, but it feels so brutally authentic that it's impossible not to be sucked in by its incredible tension and message -- how war can change a normal man into the kind of person who simply does not fit into civilian life after everything he's been through. 2011 was an especially tight race. The King's Speech (directed by Tom Hooper) ultimately took home the gold, but other frontrunners included such instant classics as 127 Hours, Black Swan, The Fighter, The Social Network, Toy Story 3, and the Coen Brothers' remake of True Grit. The King's Speech seems like a safe choice on paper. After all, it's a period piece based on a true story, the man who would become the United Kingdom's King George VI having to overcome a unique adversity on his road to greatness. However, it's slowly revealed that this is, in fact, an incredibly important story in the history of global civilization. Seemingly benign quirks can have a tremendous impact on the development of an individual, and The King's Speech tells his story with enough humor, drama, and powerful acting (including having Geoffrey Rush's character be a former actor, natch) to have fully earned the prestige of being called 2011's Best Picture. It's generally accepted that The Lord of the Rings: The Return of the King's sweeping victory during the 2004 Academy Awards was in recognition of the accomplishments of the entire trilogy, but this admission isn't to say that Return of the King isn't a crowning achievement on its own. It swept all eleven Oscar categories for which it was nominated, including Best Director, Best Score, Best Costume Design, and a slew of other awards. All in all, it's one of the most celebrated movies of all time, and its 11 Oscars are the most of any film ever, tied with Titanic and Ben-Hur. The grand finale of the Lord of the Rings saga is the culmination of the previous two movies and the perfect ending to the sprawling trilogy. The theatrical cut of Return of the King runs at nearly 3.5 hours (and the extended home video cut is just over four hours in length), but it genuinely doesn't feel that long due to its fast pace, grandiose adventure, and the knowledge that this is it, the end of the road. There's something magical about a trilogy with a concise beginning, middle, and end, and the follow-through to see it done correctly. The Lord of the Rings is right up there with the original Star Wars trilogy in that it managed to perfectly succeed in this herculean task, only to ruin it with a generally derided prequel trilogy. Maybe JJ Abrams will come around in a few years to adapt The Silmarillion. Few were surprised when Spotlight took home the top price at the 2016 Oscars; this most recent of Best Picture winners was the clear frontrunner from the beginning, and will only continue to grow in relevance as the role of the media as watchdogs over powerful institutions is increasingly challenged in 2017 and beyond. In addition to being a topical story about abuse by powerful figures, Spotlight is also simply a great movie, with a stellar cast and breakneck pacing. 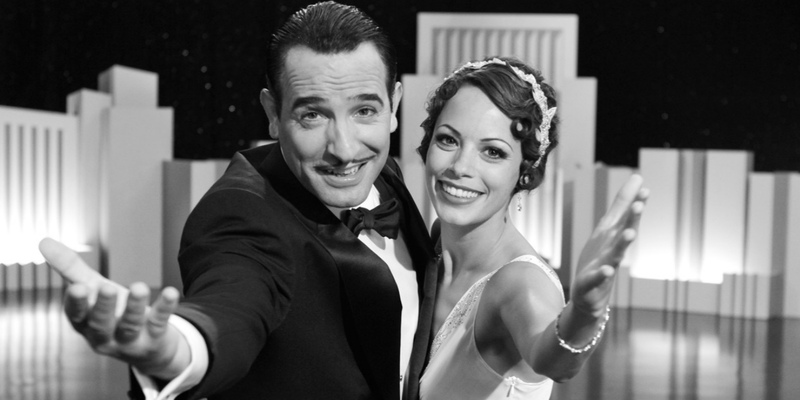 Mark Ruffalo and Rachel McAdams were both nominated for their roles in the film, though they lost out to Mark Rylance in Bridge of Spies and Alicia Vikander in The Danish Girl, respectively. It came as a shock to many when Michael Keaton failed to score a Best Actor nod as the sternly focused leader of the Spotlight Team. Perhaps it was not flashy enough for the Academy; great newspapermen are a great many things, but they are seldom flashy. Martin Scorsese has directed some of the greatest films of all time, but an Oscar, for either Best Picture or Best Director, has long eluded him. Taxi Driver, Raging Bull, Goodfellas... All were nominated in both categories, but it just wasn't happening. In 2007, when The Departed won both categories, the fan reaction was mixed. They were happy he won, disappointed that it took so long, and perturbed that his victories came from The Departed, a film which is nobody's favorite Scorsese joint. The thing is, the film is excellent, and it deserves its place right next to the above-mentioned films. While the backlash against The Departed was strong out of the gate, audiences have since warmed up to the gangster epic. The cast is perfect (Jack Nicholson! Martin Sheen! Leonardo DiCaprio! Matt Damon! ), and Scorsese's direction is supreme, delivering some of the most violent scenes in his career (which is saying something) with the stylishly unconcerned wisdom of a nihilistic elder statesman. This is definitely one worth revisiting. Clint Eastwood is a Hollywood legend with two Oscars for Best Director under his belt. The second of these came from Million Dollar Baby, the 2004 boxing film for which he also served as producer, co-star, and musical composer. Million Dollar Baby was one of the most talked-about films of the year, a redemption story of an aged trainer and a dogged young contender with something to prove. Things proceed like a grittier version of Rocky until the unprecedented final act, which switches gears to something else entirely. Though not without controversy over its ending, Million Dollar Baby shines because it tells a difficult story without romanticizing or glossing over any of the rough details. In addition to Best Picture and Best Director, the film also won Oscars in 2005 for Best Actress (Hillary Swank) and Best Supporting Actor (Morgan Freeman). Among the film's other nominations, Eastwood himself earned a nod for Best Actor, but lost out to Jamie Foxx in Ray. 2014's Best Picture winner, 12 Years a Slave, is tough to watch, but it's important task of displaying the truth of the American South in the pre-Civil War era should not be overlooked. It's almost embarrassing that it needs to be stated, but slavery is bad, and it's the single biggest shame of the United States by a considerable margin. Still, there are lawmakers, men of power, who don't understand, or who choose not to acknowledge, that regarding human beings as property is inherently wrong. Director Steve McQueen (not that one) hit the nail on the head with 12 Years a Slave, the true story of a free black man, Solomon Northrup (Chiwetel Ejiofor), who is kidnapped and sold into slavery. There's no upside to being a slave. There is no #NotAllSlaveOwners argument to be made, and this film lays bare that truth with an uncompromising look at a man who is reduced to something significantly less, simply because of the color of his skin. It's a brutal film which should be watched in a safe space, but also one which should be watched, period. Danny Boyle's unique take on the classic underdog story earned the top honors at the 2009 Oscars, besting such competitors as The Curious Case of Benjamin Button, Milk, and Frost/Nixon. This celebration of/homage to Bollywood culture resonated with audiences on a global scale. Dev Patel plays Jamal Malik, an eighteen-year-old competitor on India's version of Who Wants to Be a Millionaire?, who is accused of cheating. After all, how can some street rat know the answers to these difficult trivia questions? Through a series of flashbacks and endearing (or reductive, depending on who one asks) Bollywood clichès, the audience learns about Jamal's youth and upbringing, and how he came to learn the answers to the various trivia questions. Slumdog Millionaire bounces back and forth between trite and profound, tap dancing between seriousness and whimsy like Fred Astaire in his prime, and the film has an infectious energy which is simply impossible to resist. Some filmmakers are so prolific that it's nigh-impossible to choose a single film as one's personal favorite. How can one choose a favorite Scorsese film? Or Spielberg? Or Soderbergh? The Coen Brothers are in the same boat. From Fargo to True Grit, The Big Lebowski to Barton Fink, there's no shortage of Coen Brothers classics from which to choose. It also helps that their output transcends any single genre, often jumping between comedy, drama, romance, and everything in between. While it's so hard to choose a favorite, a strong case can be made for No Country for Old Men, a nihilistic neo-noir western based on the novel by Cormac McCarthy. The Coens have a knack for grim humor, but No Country is simply bleak beyond compare, and what little dark comedy exists is of the pitch black variety. Somehow, it comes together in a deeply engrossing potboiler which is profound in its abhorrence of profundity. The film effortlessly deconstructs the very notion of symbolism and artistic themes, the building blocks of fiction itself. What do you think? What are your favorite Best Picture winners? Are Titanic and Birdman overrated? Are the Academy Awards just a glorified meat parade, to paraphrase the great George C. Scott? Sound off in the comments!